In the late 1970s, like many teenagers of the time I was pretty heavily into punk—but then along came Elvis Costello with a new sound, that ended up somewhat unfortunately being know as “New Wave.” It had a lot of the incisive commentary and driving minimalism that we liked in punk, but it also had more musicality and, it seemed to me at the time, more room to maneuver lyrically and melodically. In three albums over the incredibly short span of three years—My Aim Is True (1977), This Year’s Model (1978) and Armed Forces (1979)—Costello really shook things up, and established himself as one of the most gifted songwriters of his era. Those albums still have the power to knock your socks off, and no doubt tracks from them will be popping up as my “Song of the Day” fairly frequently. But today I wanted to spin some songs by someone else. 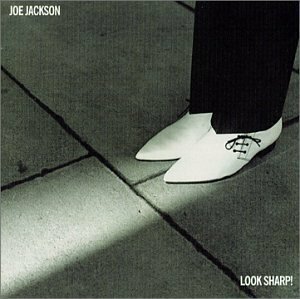 Joe Jackson released his first album, Look Sharp!, in 1979, the same year as Armed Forces. It was clearly still New Wave, but with somewhat less of the punk sound and style that was still strong in Costello’s work. Great stuff—singable, danceable, pissed off, funny—with something different to it musically. What exactly that was would become more clear as Jackson’s career progressed, in albums like Joe Jackson’s Jumpin’ Jive and Night and Day, with their more overt influences from the world of jazz, and from songwriters like Glenn Miller and Cole Porter, even Burt Bacharach. 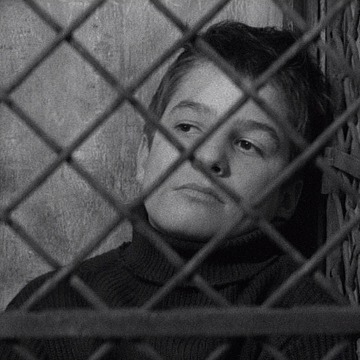 But as adolescent boys listening to his first album, what grabbed us was not any quality of the music, really. It was attitude—particularly in songs like the big hit, “Is She Really Going Out with Him?”, with its lament about “pretty women out walking with gorillas.” Raw, smart, sarcastic, disillusioned attitude. Just what we wanted.